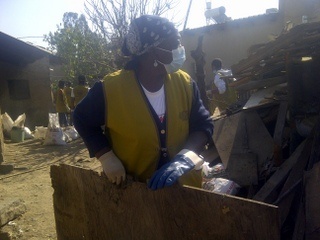 IkamvaYouth programmes are provided to the township youth at no cost. The learners are expected to commit themselves so as to improve their results in school. The Ikamvanites in Gauteng (Ivory Park and Ebony Park) have gone beyond being just beneficiaries of the Ikamva programmes, to giving back to the community. 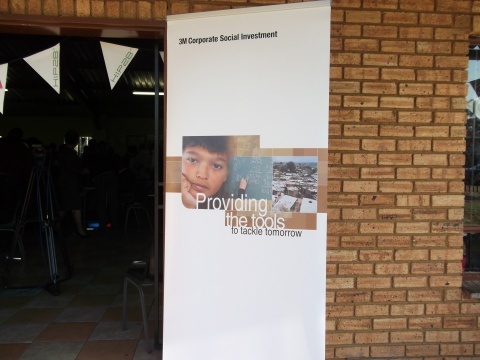 The idea of Ikamva Cares, an initiative to give back to the community, was suggested during the 2011 Winter School. On the 26th of May, the Gauteng Ikamvanites, in partnership with Tzu Chi Foundation embarked on a heart touching act of kindness to help an elderly woman in the Ivoty Park community. The elderly woman is known to be staying on her own for the past 12years, with no track of any of her relatives. The community members have made several attempts to have the elderly woman removed from the community. The elderly woman has developed mental health problems, and she finds herself gathering wood, brocken equipment, bones, rugs and empty containers, thus filling the house and the yard with dirty. The children in the community have labelled her a witch, because she uses a ‘vampire-like’ doll to scare them away when they tease her. Lots of rates were breeding in her house and yard, and the smell of dirty and dead rates was unpleasant to the neighbours. But she would not allow anyone set foot on her yard, which was all heaps of rubble gathered over many years. The Ikamvanites braved the smell and the dirty to clean the house and the yard. It took at least 3hrs for the Ikamvanites and Tzu Chi volunteers to clean the house and yard, with the heap of rubble almost blocking the street. The rubble truck had to make 3loads to clear the rubble, besides the 4 loads which the Tzu Chi volunteers had cleared the previous day. The Ikamvanites were so excited they had something to give to others. The community marvelled at the learners’ act of kindness, and one of the members noted that the grown-ups in the community had failed the elderly woman, but the Ikamvanites came to her rescue from the stinking atmosphere she was living in. The community member went on to say that what the Ikamvanites had done was not only for the elderly woman, but for the whole community, citing that the rubble was a pollution to the neighbourhood, as rats were spreading to the neighbours from the elderly woman’s house. Tzu Chi Foundation has plans to demolish the almost collapsing house, and avail a new house for the elderly woman. This is just the beginning of many such acts of kindness by Ikamvanites to give back to the community. 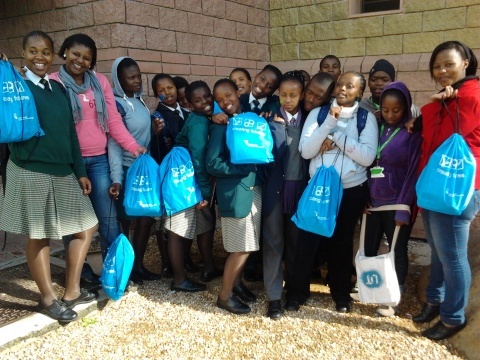 On the weekend of the 19th of May, Grade 11 and 12 learners attended the Open Day at the Cape Peninsula University of Technology (CPUT). 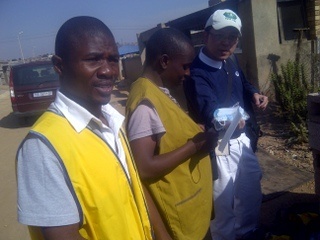 They went to the different faculties, accompanied by their dedicated volunteers. The learners discovered various career choices which many had never heard of and found to be of interest. 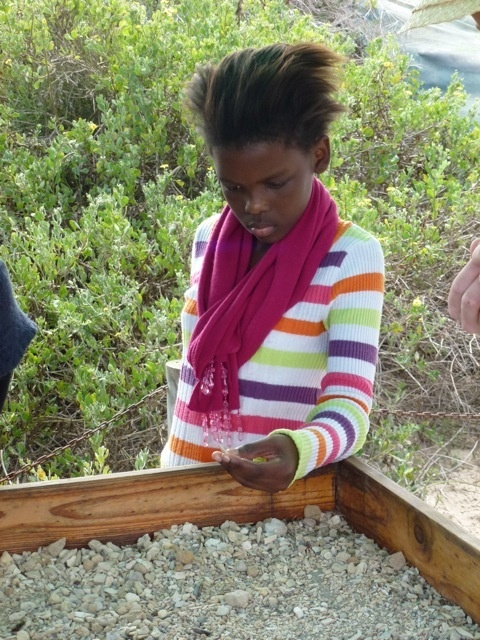 The experience was both eye opening and exciting for the Nyanganites. 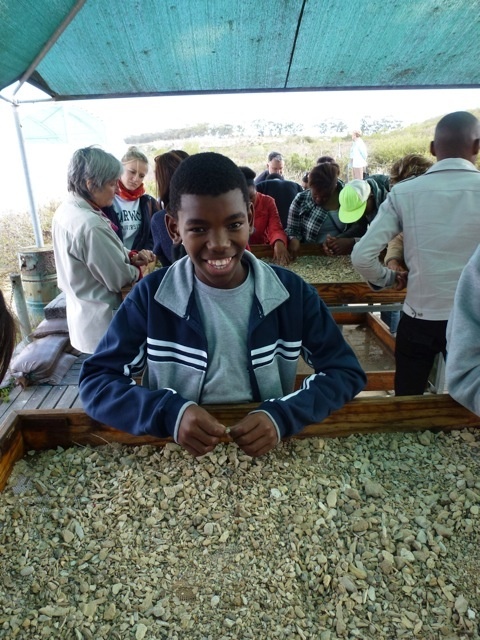 Noluvuyo, a Grade 12 learner said, “The trip was amazing; I now know what I’d like to do next year and I’m so excited that I meet the minimum requirements for the course”. The learners were impressed by the good organisation of the Open Day, and appreciated getting access to information on the different courses offered by CPUT. They also got application forms for study next year. Nandipha, another Grade 12 learner said, “I learnt that I must not choose a career because it is paying more but rather first look at my personality and see whether I’ll be happy with my choice in the near future”. 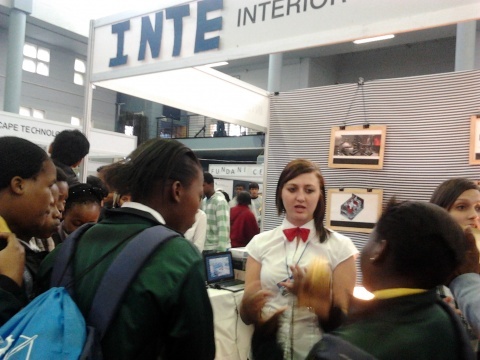 “The exhibitors were very helpful and explained each course thoroughly” added Nomathamsanqa, a Grade 12 learner from Mandela High School. The future is definitely bright for the Ikamvanites, as they have been motivated once again, to achieve excellent results and so meet the requirements to get into university. Makhaza has the incredible fortune of having some amazing workshop partners who take our learners all over the province. 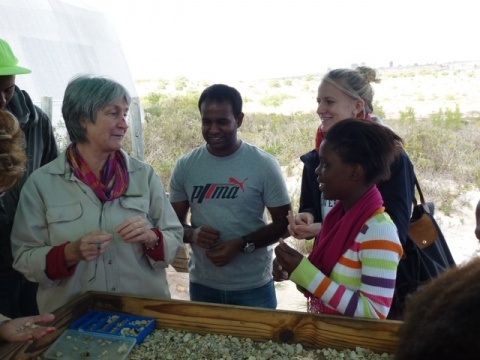 One such person is Dr. Carl Palmer who throughout his long history in association with Makhaza opened up spaces on various trips around the province, along with students from the ACCESS (Applied Centre for Climatic &Earth Systems Science) programmes. 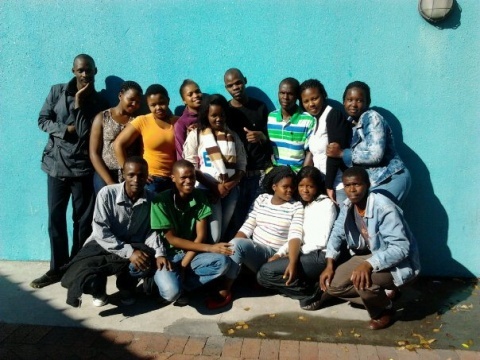 25 learners and volunteers from Nyanga joined the branch co-ordinator and branch assistant for a memorable Strategic Planning Weekend. The SPW is a pivotal event for every IY branch as some of the branch’s volunteers and learners come together with the staff to map the way forward for the year. 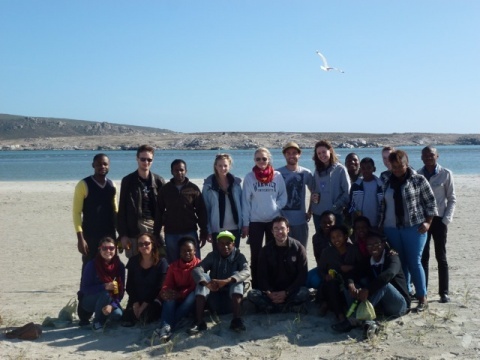 This year’s SPW was attended by 25 learners and volunteers and the branch co-ordinator and assistant. We were also fortunate to be joined by the WC regional co-ordinator Liesel Bakker and IY Director, Joy Olivier for our SPW. The weekend also provided an opportunity to the learners, tutors and staff to get to know each other better and Xola Booi, a Grade 12 learner representative said, ‘we are here to work together as learner s and tutors and share positive ideas’. 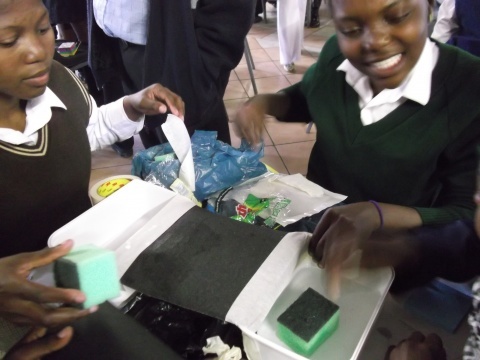 Maths, Science and Technology related topics where presented to the learners in a fun, interesting and relevant way. It was a fun-filled afternoon event with activites, team challenges and videos introducing learners to the world of innovation, science and engineering. 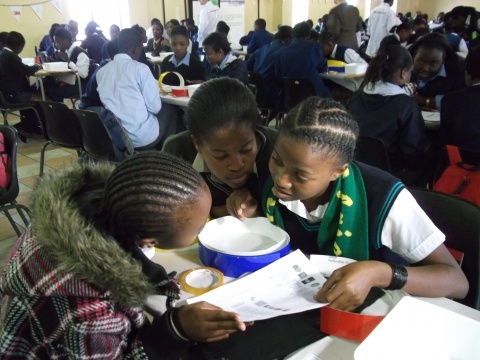 Learners were given guidance on how maths and science lay foundations or building blocks for careers in the fields of innovation, technology, healthcare, safety and transport. HIP2B² has partnered with 3M, a diversified technology company serving customers and communities with innovative products and services and industry leaders in innovative solutions for everyday life, and our learners got to see how exciting maths and science can be. 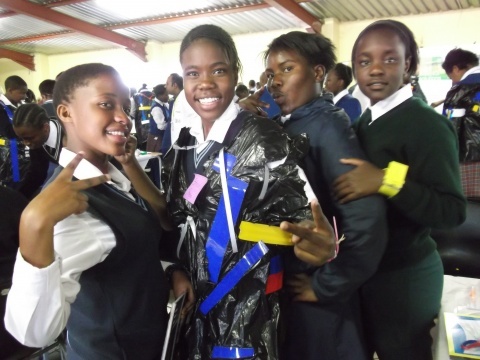 Our learners are geared up and ready to show the world how they can contribute to their communities positively.